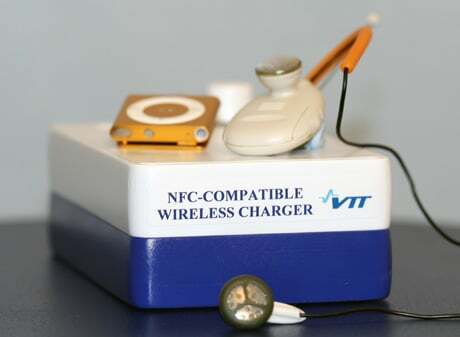 Wireless charging is on its way for smaller devices, by combining wireless power transmission with NFC technology, says Finland’s VTT Technical Research Centre. Combining the two technologies will make it possible to design increasingly compact and cost-effective wireless charging circuits to combat the increased power consumption of modern mobile devices, the researchers say. NFC devices will also be able to receive electrical power wirelessly from other NFC devices acting as charging plates, they add, but further NFC standards work will need to be done to make this possible. “The challenges include, among others, current NFC antenna circuits which have not been optimised for efficient wireless energy transfer.